Applications are hereby invited from suitably qualified candidates for admission into the Community Health Officers Training Programme for 2019/2020 Academic Session. The training, which lasts for two (2) calendar years will commence in September, 2019. It leads to the award of Higher Diploma in Community Health. West African School Certificate / GCE “O” Level OR Senior Secondary School Certificate (NECO) with five (5) credits which must include English Language, Mathematics, Biology, Chemistry and Physics at not more than two (2) sittings. Applicants must be a registered Community Health Practitioner and possess a valid practice license. Selection for admission will be based on candidates’ performance at a competitive written test and oral interview to be conducted on Wednesday 10th and Thursday, 11th July, 2019 respectively. All candidates are to bring their originals and photocopies of certificates/master-lists to the examination center. 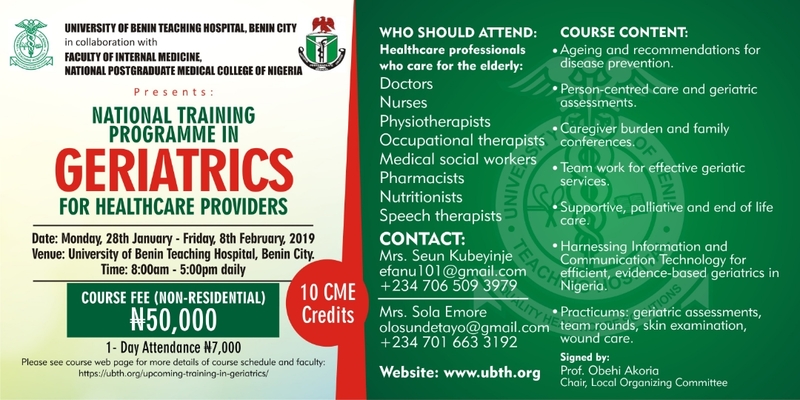 Applications are invited from the general public for Admission into the School of Post Basic Nursing Studies, UBTH, Benin City for the 2019/2020 academic session in the following courses. Possess five (5) credits in not more than two sitting in WAEC/NECO, SSCE/GCE/OL which must include: English language, Mathematics, Biology, Physics and Chemistry. Be a qualified Nurse duly registered with Nursing and Midwifery Council of Nigeria. Have at least one-year Post registration, clinical experience in the relevant area and with sponsorship by an institution or Agency. Request for the Admission form should be directed to the Office of the Deputy Director (DD), Post Basic Nursing Studies, UBTH, Benin City, on payment of the prescribed application fee of Ten Thousand Naira (N10, 000.00) or its equivalent in Dollars or Pounds for foreign applicants. All payments for the application form should be made directly into Federal Government Remita Account, Training Schools (UBTH), School of Post Basic Nursing Studies. All forms must be purchase in Administrative Office of the above named School. Be informed that UBTH do not sell the above named School forms online. IT IS HEREBY ANNOUNCED FOR THE INFORMATION OF GENERAL PUBLIC THAT THERE WILL BE AN AUCTION SALES OF UNSERVICEABLE VEHICLES, MOTOR BIKES, GENERATORS – (3) 625KVA CAT, PERKINS 500KVA, (1) 100KVA, TRACTOR MFC25. OBSOLETE HOSPITAL EQUIPMENT, OFFICE FURNITURE AND SCRAP ITEMS. THESE ITEMS ARE AVAILABLE FOR INSPECTION AT THE OLD AND NEW SCRAP YARDS, SECURITY POST AND RADIOLOGY DEPARTMENT OF UBTH FROM 13TH – 26TH FEBRUARY, 2019. SALES TO COMMENCE IMMEDIATELY AFTER THE EXPIRATION OF THIS NOTICE. FOR FURTHER ENQUIRES CONTACT FAGOBE COMPANY LTD. 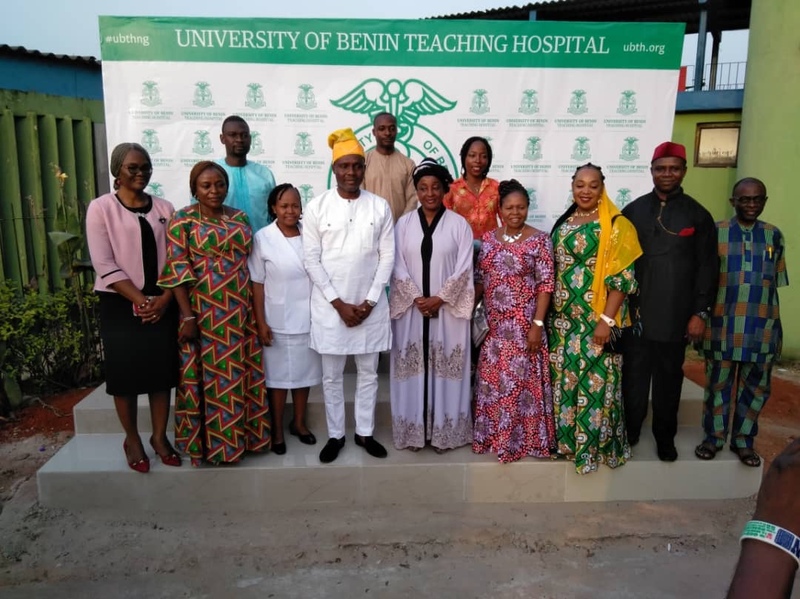 The wife of the Governor of Edo State, Her Excellency Mrs Betsy Obaseki visited the University of Benin Teaching Hospital, Benin City on new year day, 01/01/2019 to identify, felicitate and share the joy of the new year with the ‘ new year baby’. The first baby in the hospital for the 2019 was a baby girl born at 1:30 am and weighed 3.2kg at birth. 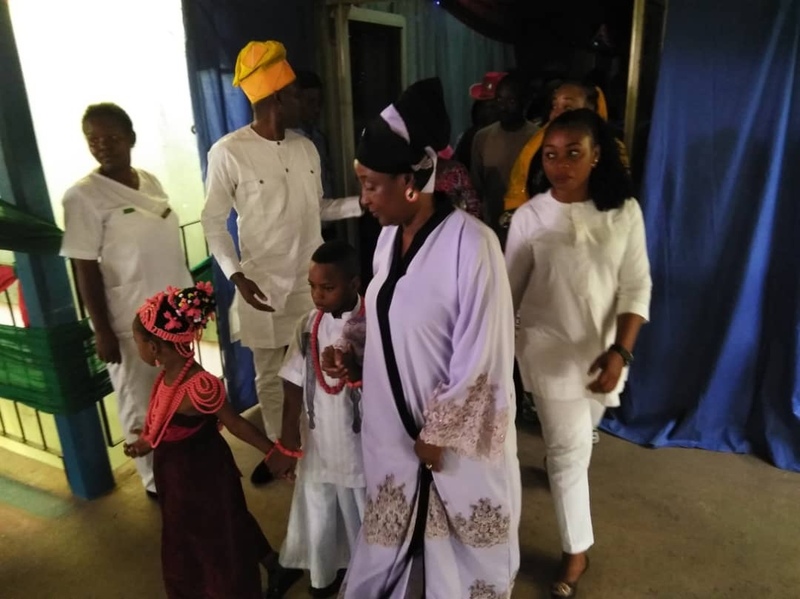 The first lady presented gifts to the mother of the baby who hinted that the baby may be named ‘Godspeed’. Management of the hospital also provided gifts for the lucky mom. 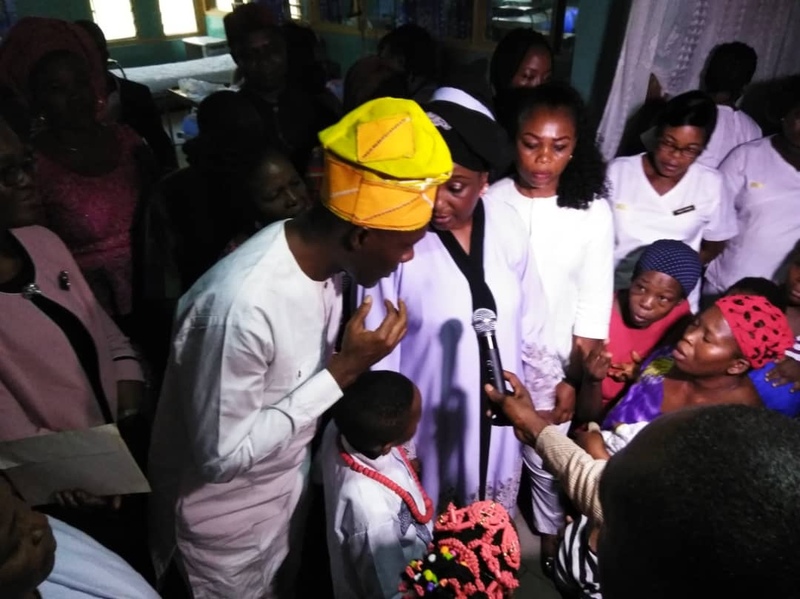 At the end of the visit, Mrs Obaseki commended the Hospital Management for the excellent care given to the mothers and their babies. She also commended Management on the benevolence displayed towards indigent patients in the hospital. Applications are invited from suitably qualified candidates for the entrance examination for admission into the above School of Nursing in March 2019 for Eighteen (18) months (Post Registration) Nursing Programme leading to the award of Registered Nurse Certificate (RN). Candidates must not be less than 18 years old. Must possess the following: WAEC/GCE (O/Level)/SSCE/NECO with five (5) credits in not more than two (2) sittings in the following subjects, English Language, Mathematics, Chemistry, Biology and Physics. Application forms should state age, state of origin, local government area, school(s) attended with qualifications obtained and addressed to the Principal. A separate payment of N200 to Nursing and Midwifery Council Committee Edo State Account No. 2004854377 First Bank of Nigeria Plc Benin City. UBTH is committed to the health and safety of our clients and staff. To that end, please read the following information on transmission, prevention, treatment and protocols for yellow fever outbreaks. As we work together, we will keep our communities safe. 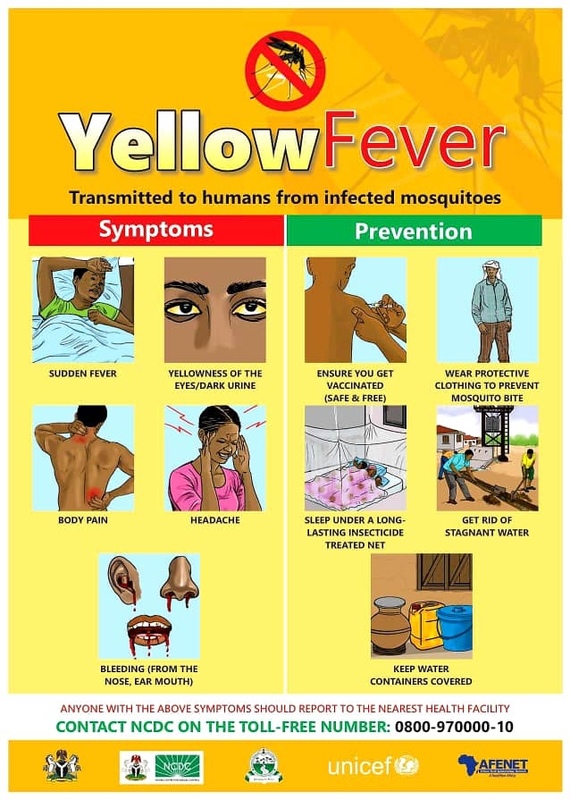 • Yellow fever (YF) is a potentially fatal viral haemorrhagic disease. • The YF virus is endemic in tropical areas of Africa and Central and South America. • The incubation period (interval from infection to onset of symptoms) is usually from 3 to 6 days. • Fever, jaundice (yellowness of the eyes and skin), abdominal pain with vomiting, problems with kidney function and bleeding from the mouth, nose, eyes and/or stomach. • Humans and monkeys are the main animals infected by the virus. • YF is transmitted to humans through the bite of infected mosquitoes (Aedes spp). • Infected people can transmit the infection to mosquitoes for up to five days after the onset of symptoms. • The infection is not spread directly from person to person or from animal to person. • There is no specific treatment for YF; only good supportive treatment for symptoms. • Vaccination is the most effective way to prevent yellow fever. • Remove potential mosquito breeding sites around the home– drain stagnant water, clear out drains, cover water containers, etc. • Clear bushes around dwellings. • Sleep under insecticide–treated bed nets. • Screen windows and doors with nets. • Wear long sleeved shirt and long trousers when outside. • Use of insecticides, mosquito repellent. • Take extra precautions when travelling to areas with a higher risk of mosquito-borne diseases. • Health-care workers should have a high index of suspicion. • Isolate infected patients being managed in a mosquito-proof room. Symptoms – Fever, headache, muscle aches, backache, chills, nausea and vomiting, jaundice, abdominal pain, bleeding from the mouth, nose and eyes. Exposure – History of travel to an area where there was an outbreak or endemic for yellow fever within 6 days of becoming ill.
YF Vaccination: History of YF vaccination. Suspected case: Any person with acute onset of fever with jaundice appearing within 14 days of onset of the first symptoms. Probable case: A suspected case AND one (1) of the following – Epidemiological link to a confirmed case or an outbreak; Positive post-mortem liver histopathology. Confirmed case: Any suspected case with positive laboratory test for yellow fever. • Isolate patient with suspected Yellow fever in a mosquito-proof room immediately. – Bedside clotting time: Use pre-labelled plain bottle (Not diagnostic but may be helpful especially for clients who present with bleeding problems). – PCR: Use two (2) pre-labelled EDTA bottles. Draw 5mls each for adults/3mls each for children and stored/transported in cold packs. • Observe standard precautions always. • Inform contacts of suspected case immediately. Supportive care with specific attention to fluid and electrolyte management. Appropriate antibiotics if there is superimposed infection. Avoid hepatotoxic drugs, Aspirin, NSAIDs. UBTH honors Prof. E. E. Okpere on his retirement after an impactful career of service. 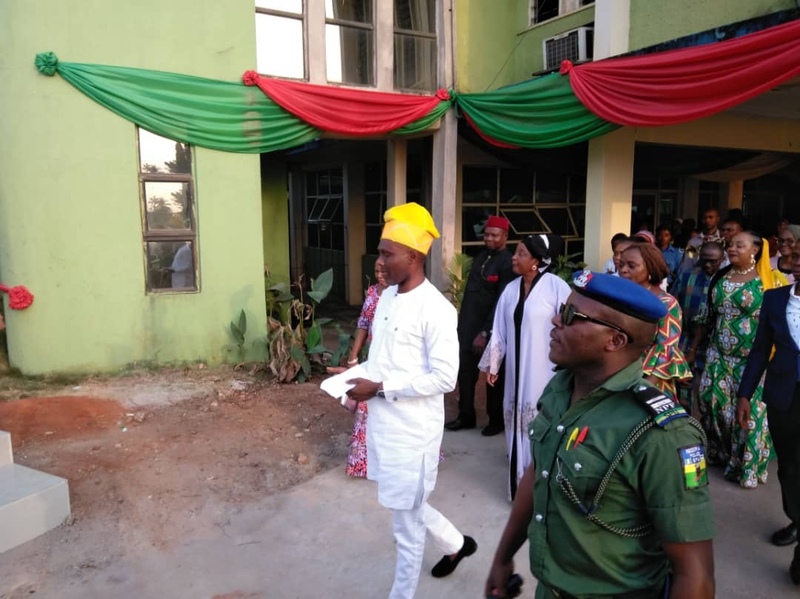 The retirement ceremony was held 16th of November 2018 at Doctors House, Benin City. We would like to extend a big thank you to all those in attendance who helped celebrate the illustrious career of Prof. E. E. Okpere. Governor of Edo State Mr. Godwin Obaseki listening to the CMD, UBTH Prof. D. E. Obaseki. Other Management Staff look on. 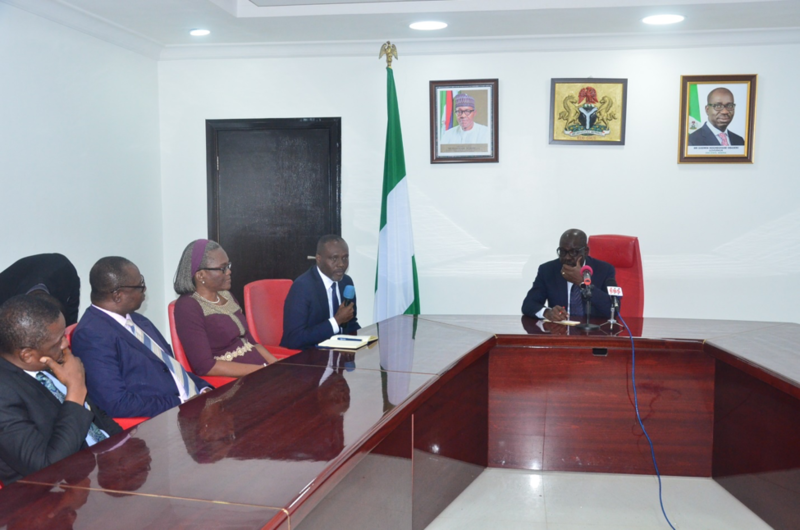 The Management team of the University of Benin Teaching Hospital, led by Prof. Darlington Ewaen Obaseki have paid a courtesy visit on the Edo State Governor, Mr. Godwin Obaseki in his office. Speaking during the visit at Government House, the Chief Medical Doctor, Prof. D. E. Obaseki said the purpose of the visit was to intimate the Governor of the new UBTH Management team led by himself and to thank his Excellency for his support to the hospital. The CMD reiterated the need for the Federal and State hospitals to work together because he believes that there are opportunities for such collaboration. Prof. Obaseki used the opportunity to solicit for the Governor’s support to offset bills of indigent patients. He also appealed to his Excellency to intervene in the call for exemption of certain allowances of doctors in UBTH from being taxed. Speaking further, the Governor emphasized the importance of synergy between the various tiers of Government particularly those in the health sector stressing that there must be a synchronization of efforts and resources. He noted that Medical insurance could be considered as part of government’s effort in mapping out a health care strategy in the State saying that the UBTH could be brought into the picture. Part of this initiative, he said, may include the exchange of personnel between the State Hospitals and the UBTH. 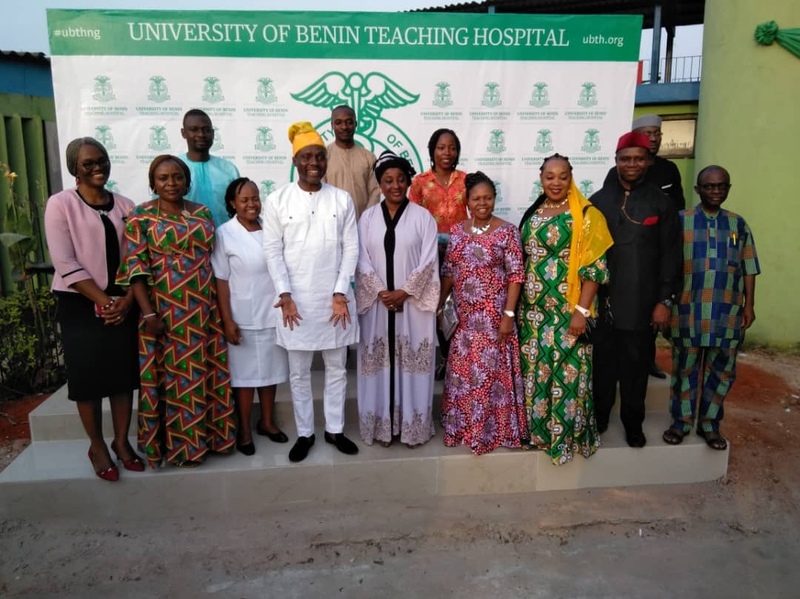 Other areas possible collaboration according to the Governor includes enhanced training for Nurses and middle-level health care personnel and medical insurance which he noted, would assist in terms of tackling the challenge of the indigence of patients. 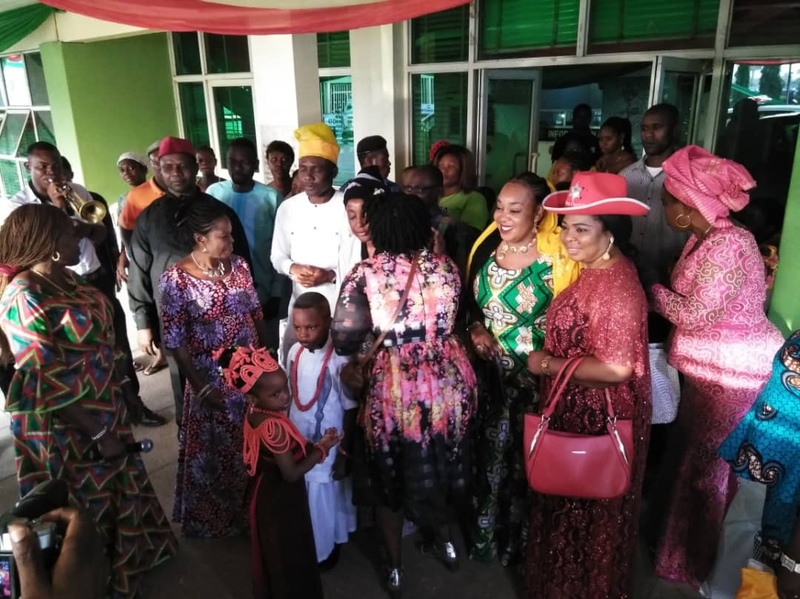 The Governor then appreciated Management for coming and assured them of his full support and co-operation as far as health is concerned in Edo State. We are proud to announce that you can now pay with your atm via POS ON SITE at UBTH service pay points. Please be advised that this is NOT online payments nor is it payments off-site. 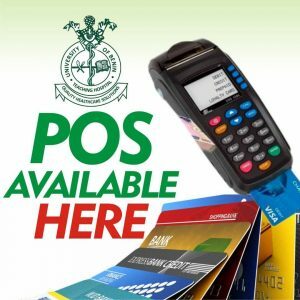 We have integrated POS for the convenience of our clients who pay for services at UBTH pay points inside the hospital. These are all part of our initiatives for improvement at UBTH as we fulfill our mission, vision and values.